The Nacra 17 is chosen as OLYMPIC equipment for the next following Olympic Games. 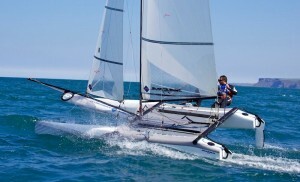 ISAF has chosen for the Nacra 17 for more than one reason. The most important reason is the modern platform fitted out with curved daggerboards which provide lift in the up and downwind legs. This will guarantee exciting shots and the Nacra 17 class will be one of the exciting classes to follow in terms of ” high performance” sailing. 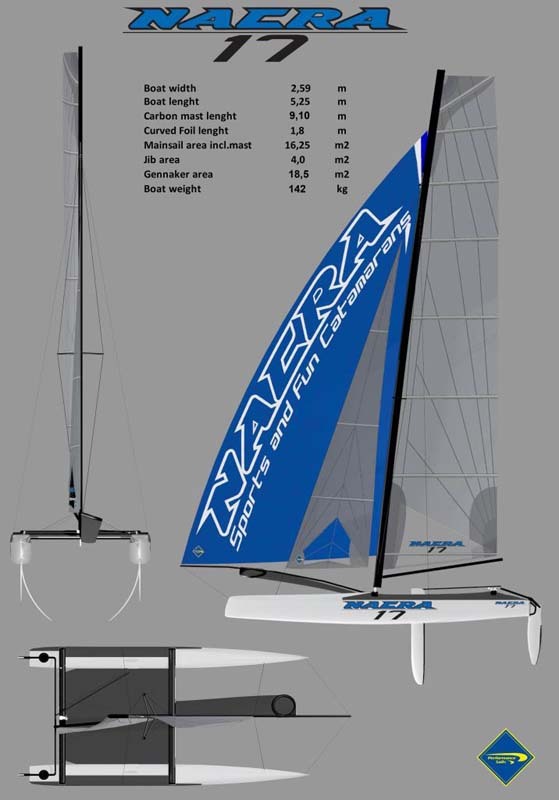 For the design the Nacra team again joined forces with world famous designing /engineering Morrelli & Melvin from Huntington Beach, California as we have been doing for many years. Morrelli & Melvin are known for their America’s Cup involvement and many other successful multihulls projects such as: PlayStation, Gun boats and many others. This innovative new boat features Carbon mast,curved hulls,epoxy hulls and wave piercing hulls. 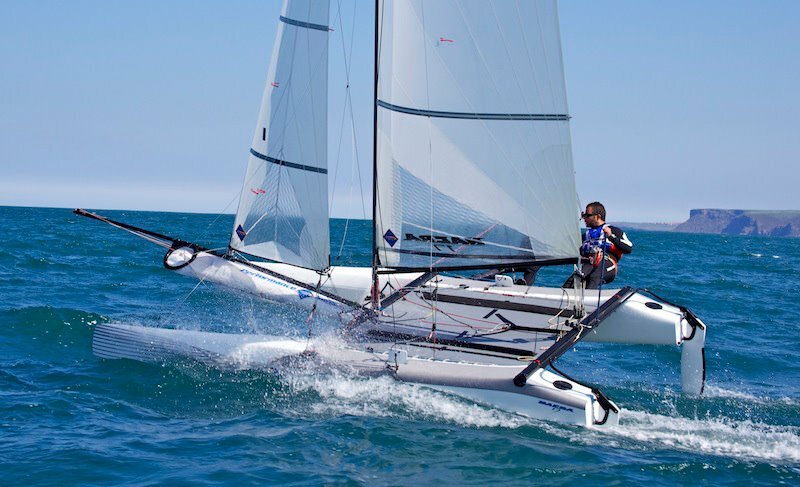 Demand for the new boat worldwide is at a premium,please contact us for more information on joining the long list of new Nacra 17 owners worldwide.